Chief Operating Officer (COO) Michael S. Pakula comes to New York Living Solutions with over 20 years of experience running an advertising, consulting, marketing , and market research company for mid- market and Fortune 500 clients. During his time as CEO, Michael worked closely with clients to understand their business needs in order to provide in-depth consultation on IT projects and marketing and advertising strategy. In addition Michael was intimately involved with conducting comprehensive strategic research for Investment Banks. Michael will tell you that he is not interested in just selling an apartment to his foreign and domestic clients, but rather his goal is to guide them to an apartment that they would be happy to live in and that would also be the best investment. In today’s environment it is imperative for a buyer or seller to work with a broker that has detailed understanding of how location, real estate taxes, price per square foot, amenities, and how a renovated vs. an unrenovated apartment can affect the value of a property. Michael's expertise in these areas enable his clients to make an informed decision based on in-depth comparison of similar area properties. Michael’s years of vast experience have left him with invaluable knowledge regarding mortgages, market trends, and the importance of retaining a qualified real estate attorney to protect the buyer during a transaction. Perhaps most importantly, Michael is a master in the art of negotiations. He dedicates himself to each exchange and is thought of as a trusted advisor to his clients. Michael is the consummate professional who advised on all aspects of my purchase. At the time I was stationed overseas and only made it back to NYC every five or six weeks for a few days at a time. Michael made sure that on the days we had allocated to view properties that we made optimal use of my time in the city. We saw many different properties which met the criteria I specified, in the areas I requested. Michael ensured that I had enough time to assess each property and arranged subsequent viewings as necessary to fit my schedule. When it came time to construct an offer and negotiate with the seller, Michael’s advice and skills were invaluable. He ensured that the starting offer and negotiating process was managed respectfully for both parties and that each response and counteroffer was based on substantive criteria. Throughout the process I was impressed by Michael’s attention to ensuring that I purchased a home that I would be happy with for the long term. I highly recommend Michael without hesitation to any other prospective purchasers. He is very experienced real state agent, knows every detail about NYC. Didn''t put any pressure on me at all to make me put an offer I didn''t like. very punctual in his appointments and showed me only the listings I was interested in. I am very happy with my purchase. after only looking for less than two month and my apt. has appreciated well since we closed. we became friends and I still seek his advice till know. he is in this business because he has a true passion to help people come to the city. I recommend his 100% for any NYC real state matter. Cannot thank Michael enough for helping us find our dream condo within our budget. Michael showed us places that were not on our list, broadening our horizons and helping us uncover what we really wanted. In addition, Michael put us in contact with a great lawyer and mortgage broker. We''ve been happily living in our condo for over 3 years and cannot thank Michael enough. 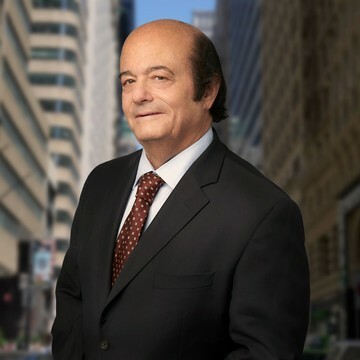 Mr. Michael Pakula is a professional and knowledgeable real estate agent who uses a personal and professional style when assisting customers who wish to buy properties. Mr. Pakula'' years of experience enables him to give the best advice on property that will appreciate over time. He is a fine real estate agent who cares for his clients and helps them locate the perfect home. Mr. Pakula is able to identify various opportunities as well as obstacles that can benefit or impede a buyer with purchasing their property. He gives professional advice and assists his buyers on what is the most beneficial direction in purchasing their home. Mr. Pakula also has a good working relationship and a excellent understanding of the attorney and mortgage process. Mr. Pakula will also encourage people not to purchase a home that is above their financial resources. As his bio says I trust Mr. Pakula as a Trusted Advisor. Mr. Michael Pakula help''ed us found our first home in Mahattan. In a big city like new york, it may not be very easy to have a concrete idea about what you really want in the first place. Michael is very patient and professional. He help''ed us get our ideal apartment within a very short amount of time. Finally, Michael used his professional network to secure our deal at a very competitive price. In summary, I am very appreciated of Mr.Pakula''s excellent work. I would highly recommend Mr. Pakula as a responsible real estate broker to any of my friends who are still in house hunting. Mr. Pakula was firstly very responsive unlike the other 3 realtors that I had been recommended through friends. He was very easy to call and get in touch with. Secondly, he took me around in a chauffered car which made it very easy to view properties on my limited time frame since I am very busy in my professional career and only have certain weekends to view properties. He spent time with me on each property we looked at, and advised me against the ones that in his opinion were overpriced and had no resale value in the future. I felt very comfortable with him as a first-time home buyer and my mother had a high opinion of him given the fact that she is in the real estate business carried a lot of weight. He is an excellent agent and you can''t go wrong with him. There is no pressure on his part to sell a property to you and he is always looking out for his clients first and foremost. He is a rarity among agents in NY and I highly recommend him. This is my first time buying a condo in New York City. Let me tell you, I have absolutely no experience and probably once of the clients that ask tons of questions. Michael is always there for me anytime, any day when I have any questions. He responded very fast even though he is busy. I am interested in buying a place as a primary residence and then eventually turn it into an investment property. Michael has great knowledge about every neighborhood in Manhattan and explain to me which building will be the best suits my needs. He is direct and straightforward on telling me the pros and cons of each and every building that we saw. He is always on time and he has a car service that brings me around when we are looking at different properties. I have regular working hours and I don''t have a lot of time during the weekdays to walk around so the car service is perfect. Other than that, as I am a first time buyer, I have absolutely no connection to any attorney and mortgage officer. Michael has a lot of contacts and I can always count on him. The attorney and the mortgage officer that he refers are all really helpful to me. Michael doesn''t stop the relationship as only showing me apartments but also helping me dealing with my move in, some questions with my loan and some other issues in this whole process. Buying a property is stressful especially a first time buyer. I am very thankful and glad that I have Michael to help me with this process. I will definitely recommend Michael to anyone of you who is looking for an apartment in Manhattan. Good luck in your process! Michael always provides more services than just representing buyers. I came from a foreign country and was not very familiar with the local market and a lot of issues regarding real estate. Michael not only told me about the real estate market but also the school district, selecting contractors, and how to deal with the management company and the super. Incredibly patient and resourceful! Moreover, Michael has a car service, which made the showing process very efficient! I saw several apartments at a time, and I think this service will benefit people who are very busy with their work. Michael is always willing to help me out when it comes to a variety of problems related to my new apartment. Not only Michael helped me rent out my new apartment in about two months but also he helped me deal with all kinds of unexpected problems! After buying my first apartment in Manhattan, Michael and I became very good friends. With Michael, buying the apartment not only was a great experience but also brought me a good relationship. Thanks Michael! "Michael is always on it.....you can depend on him 100% to get the job done.....In our case there were mountains of paperwork demanded by the Board of Directors, Approval process and countless exchanges between the Buyers and Sellers. Michael handled everything adroitly, on time and we look forward to working with Michael again on new endeavors."